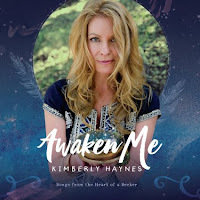 Kimberly Haynes is a singer and songwriter whose debut album, Awaken Me (subtitled Songs from the Heart of a Seeker), invites the listener on a soulful journey of discovering the sacred space within and creating a conscious connection with spirit. 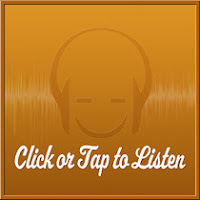 Co-produced by recording artist and multi-instrumentalist, David Vito Gregoli, the talented virtuoso plays many instruments on this album – including acoustic and electric guitars, South American charango, bass, mandolin, sitar, banjo, piano, synthesizer, udu, drums, percussion, bells, Native American and world flutes, Gopichand and kalimba. An impressive line-up of contributing artists also includes pianist Peter Kater, vocalists Tina Malia and Aeone, Native American flute player Al Jewer, accordionist Andy Mitran and percussionist Byron Metcalf among a handful of others – who additionally lend instruments such as violin, tabla, dulcimer, didgeridoo and hang-drum. Kimberly provides both lead and backing vocals on the album’s eleven compositions – drawing much of her singing inspiration from the likes of Joni Mitchell, Shawn Colvin, Alison Krauss and Sarah McLachlan.